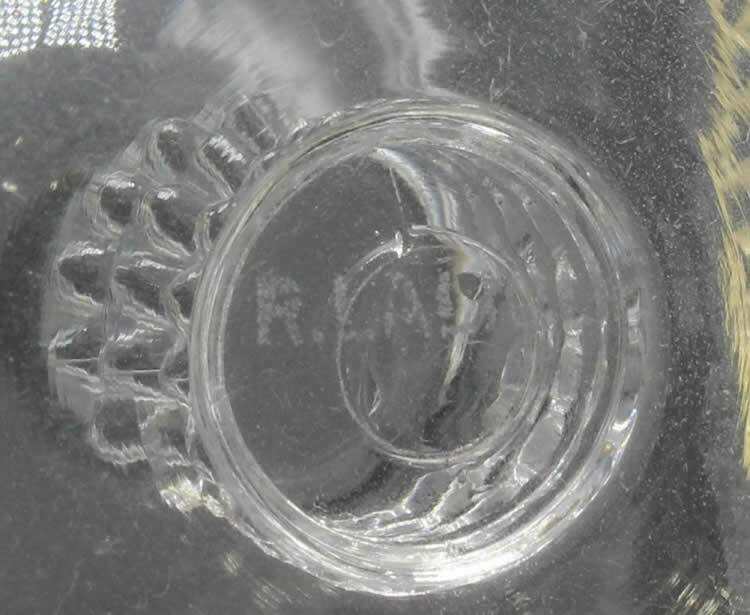 Rene Lalique Kobe Wine Glass: A re-offer of 3 stems from December 3, 2018. Now Lot 8 Est: $300 - $400. Also apparently re-offered from February 10, 2018 is a Druide Vase as Lot 220 Est: $2000 - $3000. 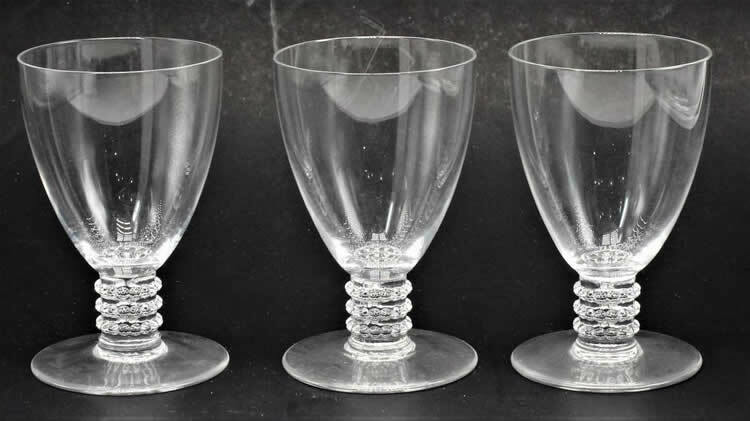 A set of 3 3 and 1/2 inch clear footed R. Lalique Wine Glasses with round bases and stems that have three decorative bands. Lot No. 8 Est: $150 - $200.